Odds are that very few do. In our society, bad news is given resonance and the good is relegated to the margins. When Israeli fifth-graders do badly in international math evaluations, the entire country seethes. This feeds political recriminations that generate more headlines for days to follow. Our successes rarely, if ever, receive notice. Israelis are without a doubt more self-scrutinizing than the citizens of most other nations. Clearly, self-criticism is not readily quantifiable, but we are probably second to none in that characteristic. It often works to our detriment, but it does also almost certainly reinforce our democracy. It constitutes an inestimable source of intellectual ferment and strength. In that sense, we are unique in our region. And yet elsewhere, contrary to our own proven penchant for griping, our strength does not go unrecognized – even if we fail to crow about it. Thus two enlightening news items went almost ignored by local media. 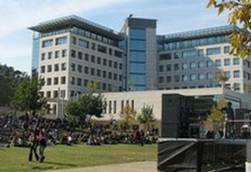 A new OECD study – its Education at a Glance report for 2012 – ranks Israel second (among all 34 OECD members as well as eight other major economies) in the proportion of adults with higher-education degrees. Canada came in first with 51 percent. Israel followed with 46%, ahead of Japan (45%), the US (42%) and New Zealand (41%). Next, from the sixth to 10th slots, respectively, came South Korea, Norway, the UK, Australia and Finland. The OECD average is 31% with tertiary education degrees, well below Israel. When Israel joined the OECD in 2010 it already boasted a 92% rate of high school graduation, whereas the OECD average was 84%. This is nothing to scoff at. It is axiomatic that well-educated populations are prerequisite for successful, developed economies. Israel’s success shows. It manifested itself, for example, in the latest Bloomberg Innovation Index that ranks Israel first among 50 countries in the Research and Development intensity category. This makes Israel a force to be reckoned with, even if its overall ranking on the seven-factor index was only 32rd. Israel was dragged down by not being ranked in two categories and by coming in 24th in Productivity and 41st in Patent Activity. Israel managed, however, a respectable seventh ranking on both Hi-tech Density (the proportion of publicly traded hi-tech companies among all publicly traded companies) and Tertiary Efficiency (the ratio of university graduates among employees in the spheres of in science, engineering and manufacturing). While we surely aspire for greater achievement, our glass is more than half full. There is much we can rightly take pride in. We are a small country with almost everything possible going against it. We inhabit a minuscule strip of harsh topography, with no natural resources to speak of and an arid climate to boot. Moreover, we are not allowed to inhabit in peace this inhospitable sliver of land – in which we built everything literally from scratch, from a depopulating rock-strewn malaria-infested wasteland. We are repeatedly besieged, boycotted, attacked, threatened with outright genocide, delegitimized and demonized. This would constitute a cumbersome load for any undersized nation, though none has been subjected to anything approaching our still-ongoing travails and dangers. If we turn our gaze to our own region, our distinction shines forth all the more impressively. We are surrounded by the Arab realm with its astounding natural resources, dominating a vast portion of this planet (greater than the entire continent of Europe and the US put together) and with an immense population as a potential reservoir of resourcefulness. But our miniature Israeli island of democracy, ingenuity and scholarship produces an incomparably greater contribution to human learning and innovation. It would do us well to gain a sense of proportion and look around us to be able to better gauge the achievements of our diminutive, beleaguered yet nevertheless excelling collective. A brief let-up from our habitual carping would not go amiss. Too often we, Israelis, are being over self-critical while, either refusing or not being aware of the larger context of time, place and circumstances of the regional and global reality within which we operate. And yet, despite all odds, we have been doing true miracles during the past 100 years in our homeland of Eretz Israel, in nearly every aspect of life. We need to both learn more about our history, which by definition ought to take into consideration the context within which we examine matters; and, take pride of our collective achievement as members of the Jewish people at large, and Israeli Jews in particular. The vast majority of American Jews would also do well to let up a little from their habitual carping at Israel, and at their own country, too. But no. In 2008 about four out of five Jewish voters, and in 2012 about three out of four, voted for a president who harbors a deep and abiding animosity toward Israel and America alike. This is the best comment of you — and of anybody else — on Israel I have ever read. Thank you very much ! Thanks for this wonderful Purim gift-truly makes this Purim – a Purim Sameach for all of us. We have a tendency to be super self-critical. Perusing the press only adds to a sense of negativity. It is time to show our pride in our accomplishments as a people and as a nation. Thanks Sarah. I’ve been editing a newsletter (verygoodnewsisrael) for two years containing up-date-news of the great things about Israel, but it needs publicising by people like you. It is so vital to promote the Jewish State to those billions who haven’t yet been brainwashed by those that deligitimise it.